If there’s one bonus to staying in the northern clime of Toronto Ontario, Canada in mid-January rather than heading south, it’s the opportunity to attend the Niagara Icewine Festival and indulge in ice wine, gourmet cuisine and spectacular winter scenery. 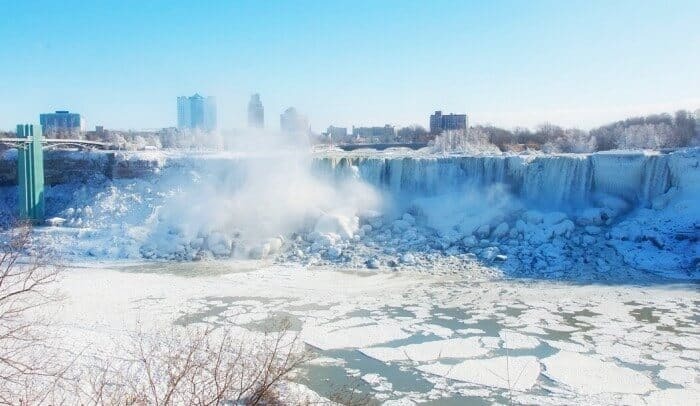 Sure, it can get bone-chillingly cold (and Niagara Falls itself can actually freeze!) but that’s just a reminder of what it means to be a real Canadian and is all the more reason to warm up with some VQA Niagara ice wine. It’s important to note that many organizations celebrate icewine throughout January in the Niagara Region. Here’s our guide to what to do, where to stay, the best ice wines to try and more at the Niagara Icewine Festival and other must-see events. But first, what is Canadian ice wine? It’s basically a dessert wine produced from frozen grapes. But it’s a lot more complicated than it sounds and requires careful cultivation of the vines, ideal weather conditions and vigilant harvesting. While ice wine might sound easy to produce, it actually requires a combination of magical timing and careful production. At least three full nights of below -10C weather is needed for ice wine grapes to release their unique concentration of sugars, acids, flavours, and aromas into the juice. In the middle of the coldest night, grape pickers from ice wine wineries don their warmest winter gear and head into the vineyards to hand-pick the grapes. The clusters are then gently pressed, with each grape yielding just one drop of the prized juice. 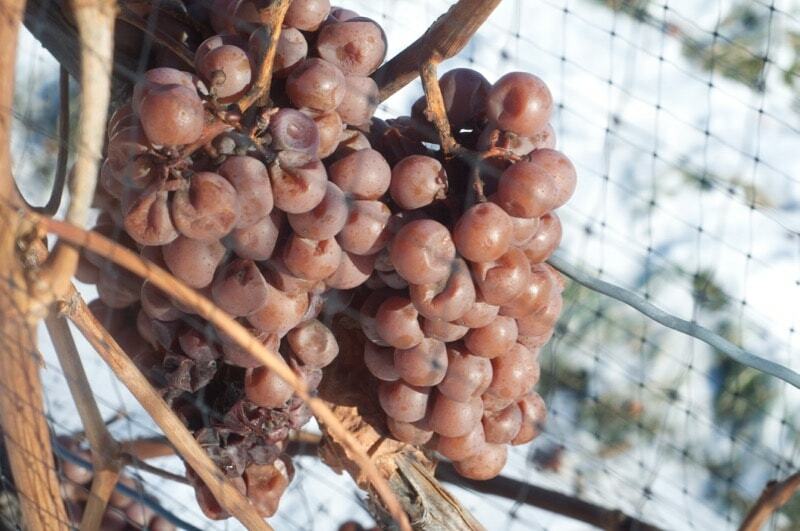 The labour intensive process and low yield means the cost of ice wine is higher than regular wines. Grapes that are harvested outside of these strict requirements are known as “late harvest wines” which means that although both ice wine and late harvest wines are sweet dessert wines, all ice wines are “late harvest wines” but not all late harvest wines are ice wines because thy didn’t actually freeze on the vines before being picked. While most people are familiar with Vidal ice wine, one of the things you’ll quickly learn at the Niagara Icewine Festival is that there are actually many other types of ice wines. Grapes that grow well in cold climates are popular grape varietals used for making ice wine. This means you can also find Riesling, Vidal Blanc, Cabernet Franc, Chardonnay, Cabernet Sauvignon and Gewürztraminer. Not all wineries produce each type of ice wine and some ice wines are produced in such small quantities, they’re not available at the LCBO ( or Duty Free Shops) and you can only sample them at the wineries or at Niagara Icewine Festival events. This is where the fun begins. What does Niagara ice wine taste like? While all ice wines feature a highly concentrated, sweet flavour, they range in colour from bright ruby red with aromas of cherry, red licorice and raspberry of a Cabernet Sauvignon ice wine to the citrus notes of a Chardonnay ice wine. In order to decide on the best ice wine for your palate you need to sample a range of ice wines. You might be surprised to discover that although Vidal ice wine is the most widely available ice wine, there are other ice wines you enjoy more. The key to enjoying ice wine is to serve it very cold. The swanky ice wine gala evening in early January is an opportunity to sample rare icewines, dance to live music, indulge in fabulous cuisine and gawk at Niagara Falls lit up in its technicolour glory. 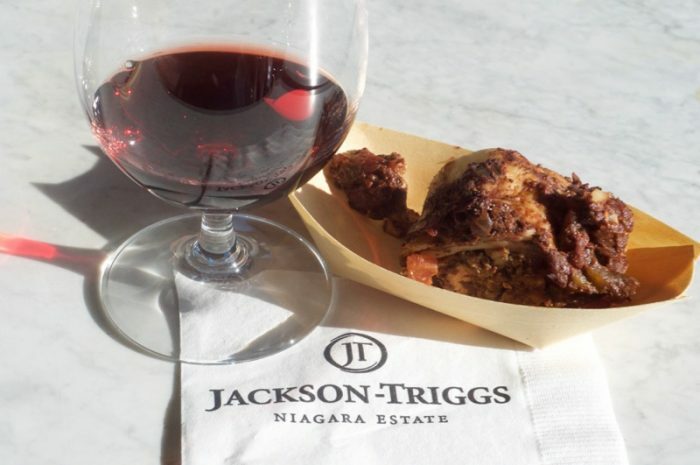 The event features pouring stations from at least 30 different Niagara wineries. They are pouring icewines as well as red and wine VQA wines. Some of my favourite must-visit pouring stations include Pillitteri Estates Winery for their Reserve Vidal Icewine and Peller for their Andrew Peller Signature Series Cabernet Franc. When the Xerox Icewine Gala wraps up, you can even pop into the casino and try your hand at the slot machines. I’m notorious for losing money as fast as I can pull the slot machine handle but the flashing lights, opulent architecture and ching-ching of everyone else winning big bucks does make an exciting wrap-up to the night. 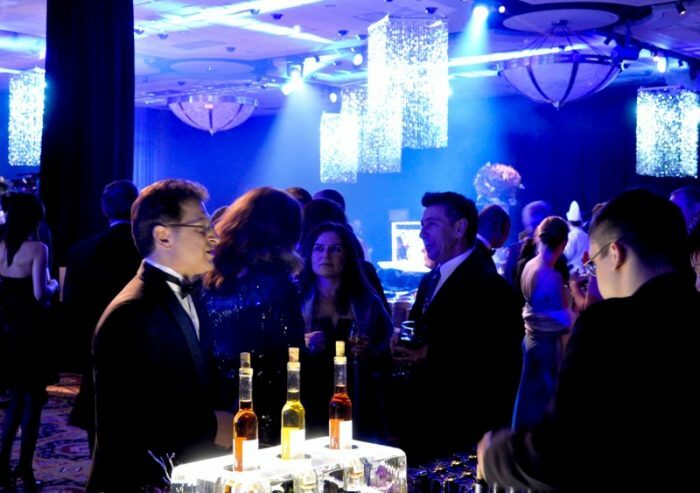 The Xerox Icewine Gala takes place at the Fallsview Casino Resort so if you stay at the Hilton Fallsview you can wear your sparkliest clothing and walk through the handy connecting link without having to wear your winter boots and parka. You’ll want to bundle up for this event held in the pretty town of Jordan Village, conveniently located just off the QEW, between January 12-14th. If you haven’t been to the Twenty Valley area before, it’s worth staying an extra night so you can hike to the pretty Balls Falls waterfalls, explore the quaint shops and make several stops at the Upper Canada Cheese Company until you’ve eaten so many free samples of artisanal cheese that they ask you to leave. (Stock up on Niagara Gold – a buttery French-style semi-firm cheese). Once you arrive in Jordan, you’ll be pleased to see handy shuttle buses to take you from the parking lots to the festival itself. In 2018, we parked at the Jordan Firehall at 3763 19th Street Jordan and walked in an attempt to wear off a few calories from the previous evening’s gala. Once there, make a quick stop to purchase your drink and food tokens (and a photo-op with one of the ice sculptures) before heading into the warming tent. Tokens are a bargain as most items cost just two or three tokens. With 25 food and wine stations to choose from, it’s tough to narrow it down to just a few but last year, we indulged in preserved peaches, ate wood-fired pizza and sampled a variety of delicious VQA ice wines. To wrap up the balance of January, you can continue your Niagara Icewine Festival celebrations with the purchase of a Discovery Pass, a magical passport that allows you to enjoy food and wine pairings during January weekends on a variety of wine routes through the Niagara Wine Country Region. Each passport offers eight deliciously inventive food and wine pairings ( there are non-alcoholic choices for drivers) to be used at your choice of participating wineries. In 2019, there are 40 wineries participating! You can even purchase your Discovery Pass Online, download it and store it on your mobile device. The cost is $45 for a Discovery Pass and $35 for a Driver’s Pass. For example, in 2018 one stop at Megalomaniac Winery on the Discovery Passport got you a sample of icewine and a honey infused drizzle over top of a two-bite goat cheese, apple and pecan tart. It paired beautifully with their 2014 Coldhearted Riesling Icewine. Your Discovery Pass Gives you access to some delicious food. 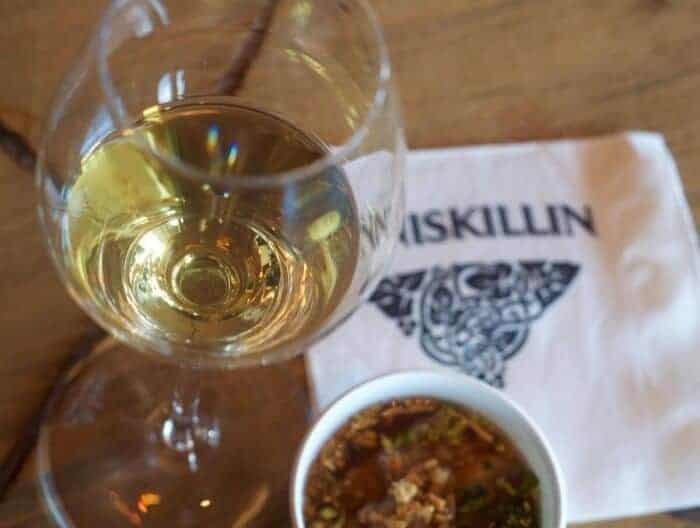 Some of the exciting combos in the culinary line-up in the past have included include Chicken and Waffles, spread with Riesling Icewine Butter at Iniskillin Winery as well as the crowd-pleasing fave, the opportunity to roast an icewine marshmallow over an open fire at Pellar Estates. I had a hard time tearing myself away from the cheesy chile con queso nachos topped with crumbled bacon and blue cheese at Fielding Winery or the Late Harvest Vidal tucked inside a Chocolate-dipped Strawberry Cup at Pondview Estate Winery. 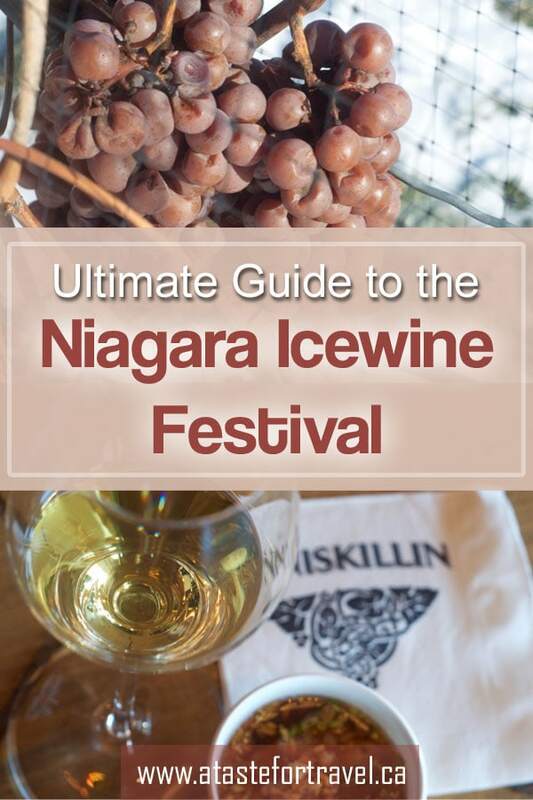 The Niagara Icewine Festival is an adult-oriented ( 19+) weekend trip best suited for couples or a girlfriends’ getaway so your best option is to choose a hotel that’s aimed at an older crowd rather than one of the family-friendly hotels with waterslides near the Clifton Hill arcade zone. One important consideration when choosing which hotel to stay at during the Niagara Icewine Festival is deciding on which weekend you’ll be attending. The outdoor festivals take place on different weekends in different location so you either want to time your visit to coincide with the festival location or be prepared to drive. 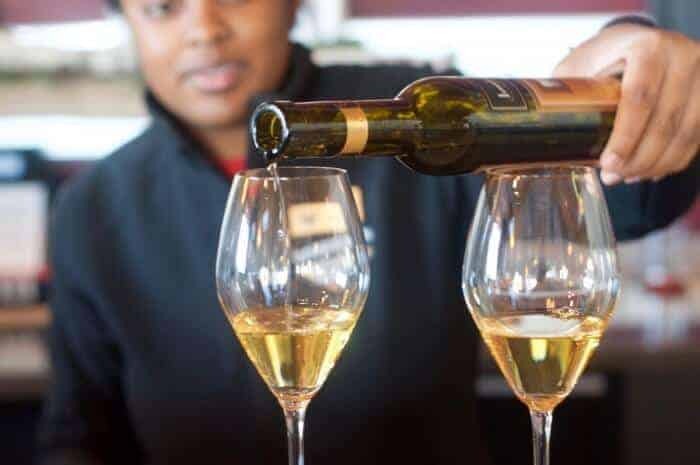 The Niagara Falls Icewine Festival takes place at the Scotiabank Convention Centre on the final weekend in January which means you can choose from a range of hotels within the Niagara Falls area. 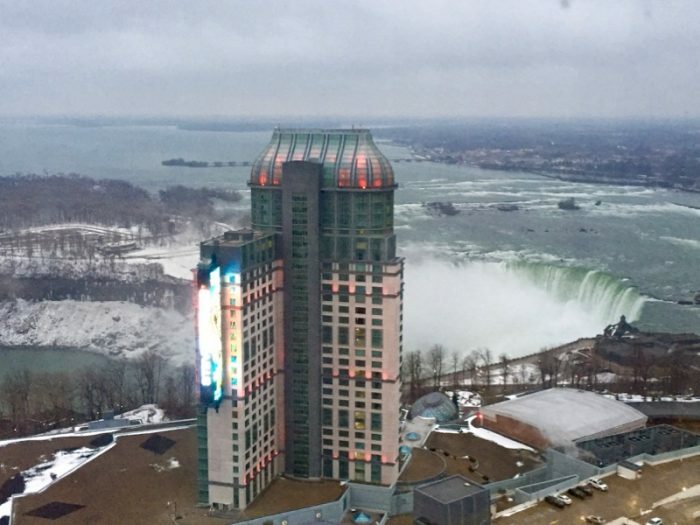 Niagara Falls Hilton Fallsview: Located in the Fallsview area, this modern tower is situated overlooking Niagara Falls and is ideal for exploring the parkway and natural attractions ( or going to the Fallsview Casino). It’s not close to the Clifton Hill arcade zone so if you’re looking to hit up fun zone attractions like dinosaur mini-golf and ferris wheels, be prepared to drive. If not, you’ll be happy to be in the peaceful part of town. Brockamour Manor B & B: Stay at this historic guest house and you’ll be tempted to start browsing real estate listings so you can own your own piece of classic Niagara-on-the-Lake architecture. Built in 1809, it’s well-located on King Street just a few steps away from everything at the Niagara-on-the-Lake, a town that’s a scenic 20-minute drive along the Niagara Parkway from Niagara Falls. The rates are reasonable and breakfast is extra-special. Read a full review at Icewine and Cycling at Niagara-on-the-Lake. Niagara Falls Icewine Festival: This icewine tasting event takes place during the final weekend in January within the Scotiabank Convention Centre. It’s a ticketed event that is not part of the Niagara Icewine Festival Discovery Pass program but has a separate cost. The cost in 2018 was $65 and $75 at the door which includes 3 hours of wine tastings, a commemorative glass and entertainment. Although there is an outdoor “winter wonderland” zone much of the activities take place indoors within the convention centre, making it quite a bit different ( and warmer) than the outdoor festivals. Ontario Travel: Get maps, planning and travel tips and inspiration from the Official Ontario Tourism website. Discovery Pass Tickets: Buy tickets and plan your route at the Discovery Pass Listings Page. Niagara Falls: If you’re visiting the Niagara Icewine Festival you don’t want to miss experiencing Niagara Falls, Canada. Here are 10 Amazing Things to do in Niagara Falls so you don’t miss a thing. Or, subscribe to the A Taste for Travel newsletter and receive travel tips, discounts, giveaways and inspiration direct to your in-box. I really need to explore our local wineries more. And go to the Icewine Gala! Gorgeous shot of the Falls. Icewine is one of my favorite and not so well know. Great post. Nice, informative article, Michele. 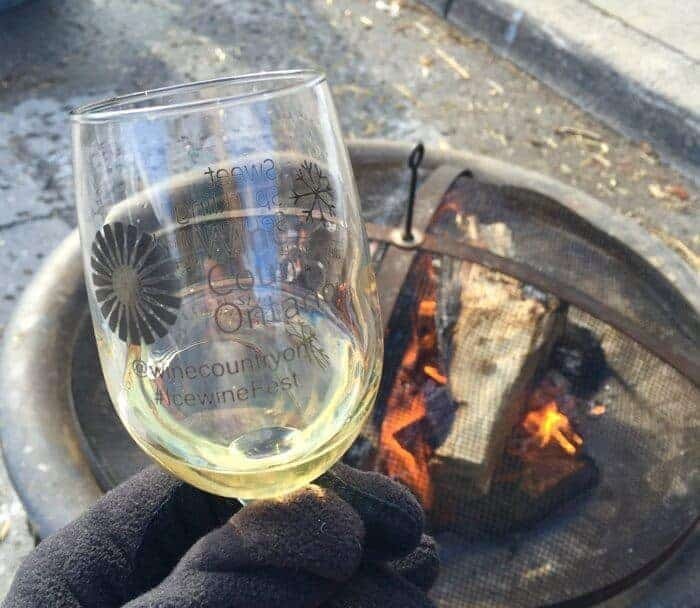 Who knew there were ice wine festivals up north? This is absolutely stunning! I visited Niagara in the summer and thought it was magnificent. But this is a whole other point of view. Pathetic as this may be…I used to go to NF about once a month (my grandmother lived there) and never did anything ice wine related. Time to plan another trip! This sounds like absolute heaven – as both a cheese and wine lover! Definitely on my list one year. I can’t wait to visit Canada as well! I had no idea this existed! Thanks for sharing!!! Great pictures and thanks for the tip on the Discovery pass! Sounds like an amazing way to keep warm. I have to say I would love to visit and see Niagara all lit up. It must be incredible. Have a toast for me and enjoy! Thanks for sharing. What a lovely festival. I grew up in a wine region in Germany and Ice wine is delectable. The full body and smooth, velvety nectar easily goes to your head, but such a treat nonetheless. I’ve been to Niagara Falls only as a little girl, but would love to return one day. Thanks for sharing! My wife and I did a bicycle tour through the Northeast, beginning in Niagara last summer. We heard about the ice wine, but didn’t get to try any. Now you’ve got me thinking about it again! Gotta make that happen some day. I saw on the news that this has been a great season for ice wine in Niagara. Thanks for the essential Festival tips, who knew Ontario in winter could be so glam! OK, I am ashamed to admit I never knew this existed! Maybe I didn’t need to visit the Quebec Winter Carnival last year, after all! 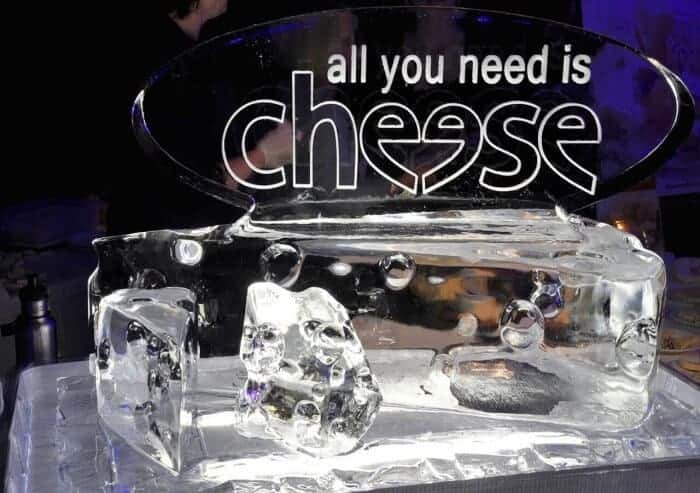 LOVE the picture of the “ice” cheese! Thanks for sharing this information. It’s definitely something I will consider for 2017! “Brrr… but beautiful,” is a great statement. 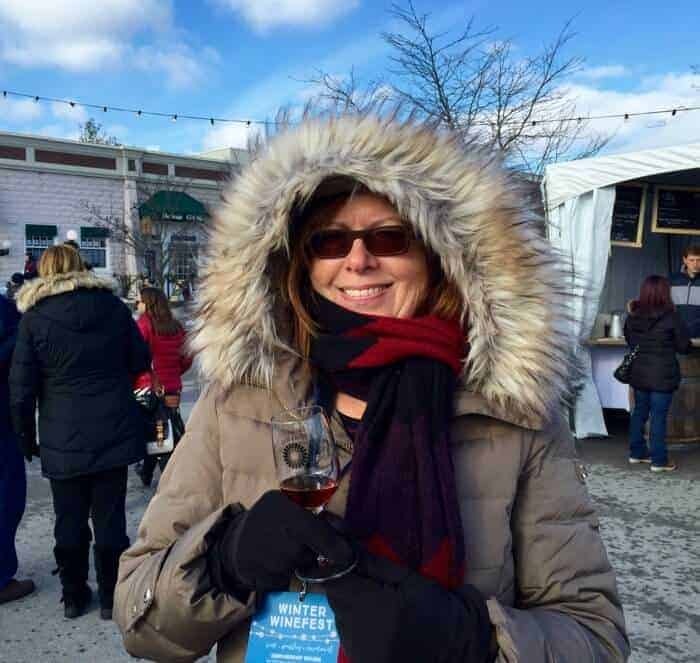 Sometimes I miss the wintery cold of the north and the Niagra Icewine Festival looks like a terrific reason to bundle up and brave the chill. 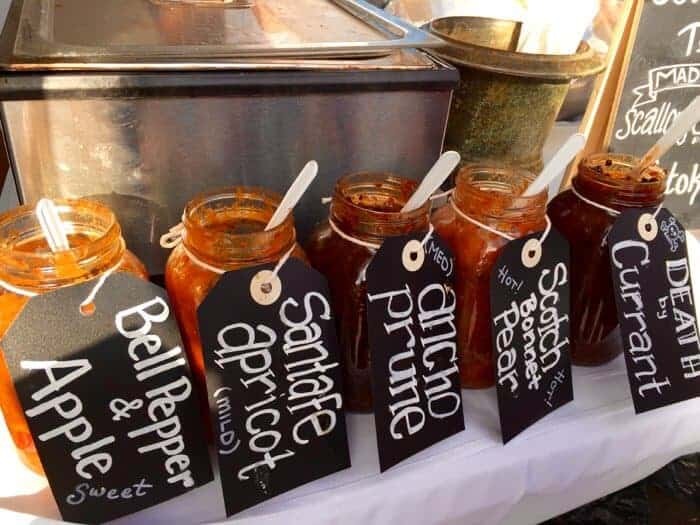 So much to do, see, eat and drink – this sounds like a fun way to celebrate the best of winter! This looks like such a great event! Whenever we get to Canada, we always bring home a bottle of icewine. I would guess it would help buffer some of the cold weather:-) Love that picture of the Falls! 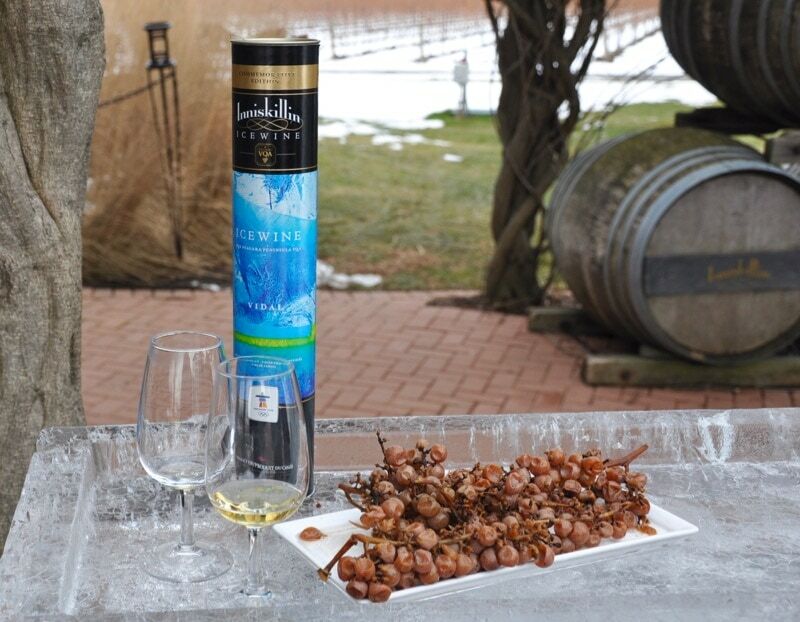 Ice wine is certainly just one of the reasons to visit the Niagara area. That Discovery Pass sure sounds like something that would be right up our alley – food & wine pairings- sound perfect! Thanks for the info. I do adore Icewine and would love to go to a festival celebrating it in Niagara! The falls look so cool (no pun intended) when they are frozen. And what better way to warm up than an ice wine festival. I’d never heard of ice wine before, but that festival looks pretty cool. And I’d go just for the cheese! The Icewine festival in Niagara looks like a lot of fun. The cheese would be pretty awesome too. I think for the cheese and chocolate strawberry cup itself is worth it, let alone the beautiful location!